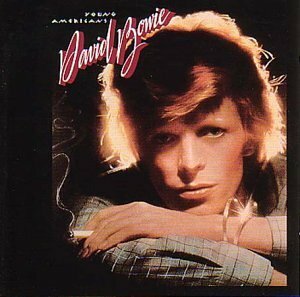 Young Americans is an album by English singer-songwriter David Bowie, released by RCA Records in 1975. With this LP, Bowie made a sudden and jolting step in a new direction, shedding his glam rock past and exploring Philadelphia soul with backing from a very young Luther Vandross. Young Americans contained his first number one hit in the U.S., "Fame", co-written with John Lennon (who also contributed backing vocals), and work from one of Bowie's favourite guitarists and band members, Carlos Alomar.